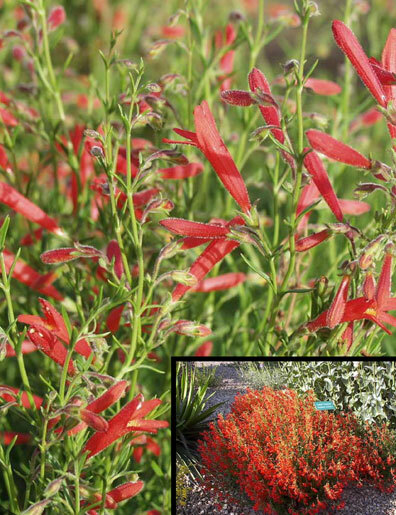 This variety of penstemon is native to southern New Mexico and Arizona, so it’s well adapted to hot, dry conditions. It has very thin, dark green, needlelike leaves that can be somewhat evergreen. It grows in soft mounds and is covered with tiny orange-red tubular flowers that are hummingbird magnets in midsummer. 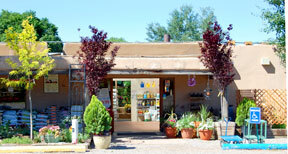 It needs well-drained soil and is drought tolerant once established. Distinguishing Characteristics: Needle-like foliage is dark green and can be somewhat evergreen. A light blanket of tubular flowers covers the plant during mid- summer.